The dictionary defines a snack as ’a small portion of food or drink or a light meal, especially one eaten between regular meals’. My definition is a bit more like this: ‘something yummy, healthy and filling to be eaten or drunk at any time of the day when you’re a bit peckish’. These fruit-based drinks are mixed with matcha powder, a green-tea powder rich in antioxidants with a gentle boost of caffeine. Although I don’t drink much caffeine, sometimes you need a hit and I find the Vivid drinks wake me up in a nice way rather than the shaking, wide-eyed way that coffee hits me. 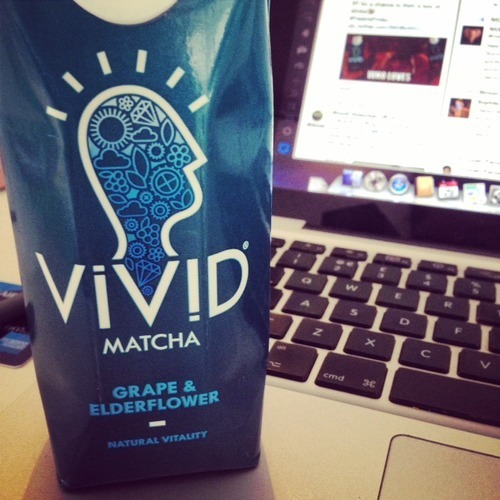 They also taste really fruity and refreshing and the grape & elderflower flavour is by far the tastiest. 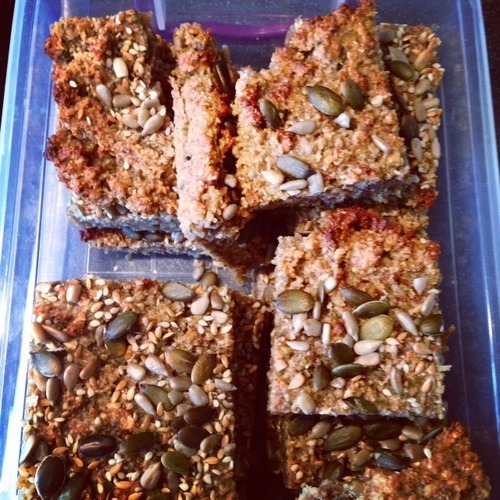 Sweet and chewy bars are the best way to get through that afternoon lull in energy and my home-made seeded flapjacks (from the Honestly Healthy cookbook) are the best that I’ve found. Not that I’m biased… Packed full of dried dates for instant energy, jumbo oats for slow-release energy and loads of seeds for protein, these babies are the best snacks around, especially if you’re planning on working out in the evening. If you don’t fancy making them, try the Nakd bars that are all gluten and dairy free and mostly raw. Just try to avoid the ones with loads of processed sugar in, these will give you a sugar high and then a massive low. This is a total no-brainer. Fruit, especially berries, is packed full of antioxidants, vitamin C and natural sugars for a quick energy boost. The yoghurt provides a hit of calcium and protein and will definitely keep you full until the next meal. 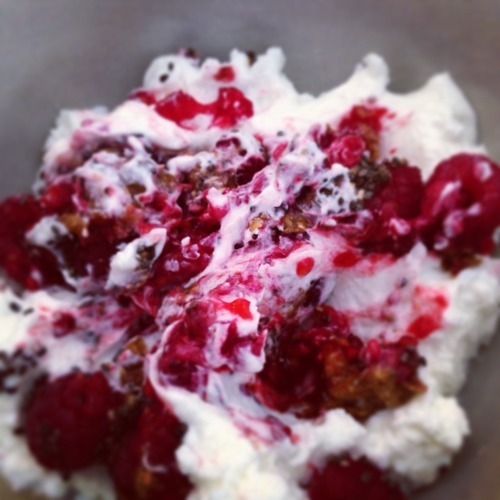 Top tips – sprinkle with chia seeds for added omega 3 and/or try goats milk yoghurt, it’s a new favourite of mine and very kind on the old tummy. 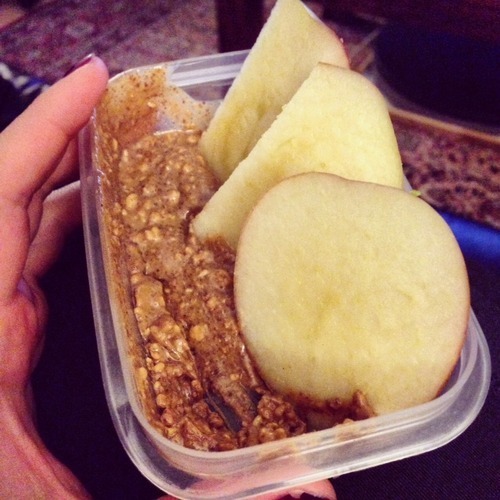 This is my favourite pre-workout snack as the almonds fill you with energy (and taste very excellent) and the apple satisfies any sweet cravings that you might be having. Try Meridian Food’s smooth or crunchy almond butter and I promise, you’ll be thanking me later. So there you are, there’s no excuses to be eating a sneaky packet of Maltesers or a can of Diet Coke when you feel that post-lunch slump. Make a clever choice and you’ll feel better!